Recently surfaced video shows the driver of an automobile burning alive inside his car after a Border Patrol officer used a Taser on the man and set the vehicle on fire. Strangely, the incident isn’t the only one of its kind in recent memory. The footage, which became public last month as the result of a lawsuit filed by the family of the victim, shows a blue Ford Focus and its lone occupant, 25-year-old Alex Martin, going up in flames after an officer from the United States Border Patrol agency discharged his stun gun and accidentally ignited gas fumes inside the car. Martin’s family sued the US Border Patrol following the 2012 altercation, and their attorney says a newly-surfaced dash-cam recording shows law enforcement’s unwillingness to assist as the man burned alive. 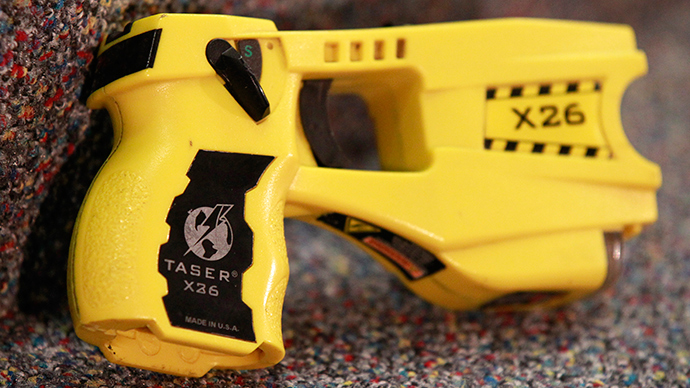 Yet while the incident is quite unusual, Tasers have been linked to similar events. When successfully deployed, a Taser can discharge upwards of 50,000 volts. A manufacturer warning cautions against use near flammable substances, but the stun gun is often used spontaneously by police in lieu of resorting to firearms. Nevertheless, the results are sometimes tragic. In January 2009, for example, a California man burst into flames after an officer with the Modesto Police Department fired a Taser at him and struck his gasoline-soaked jacket. "They pushed the man to the ground and ripped off his jacket," Sergeant Craig Plante explained to the Modesto Bee at the time. "They stomped on the jacket and put out the fire. They were now in lifesaving mode." Five months later, a similar event unfolded down under when an Australian man was struck with a Taser stun gun and promptly set ablaze. "He was carrying a lighter and pouring himself [sic] with petrol," Inspector Bill Munnee of the West Australian Police told CNN. "We don't know if the lighter set it off or something from the Taser." 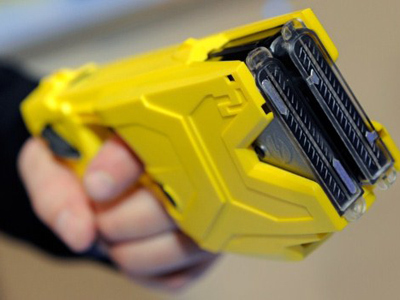 The same summer, a 31-year-old Ohio man’s chest reportedly ignited when he was hit with a Taser after allegedly inhaling toxic chemicals from an aerosol container, the Associated Press reported. Most recently, a Virginia man received 85-percent burns after he was blasted by a Taser during an alcohol-related arrest. According to local network WWBT-TV, gasoline was again a suspected cause. "There was already fire and rescue there within seconds. They were telling dispatch that he was extinguished and he was being put into an ambulance to be transported," explained an eyewitness. 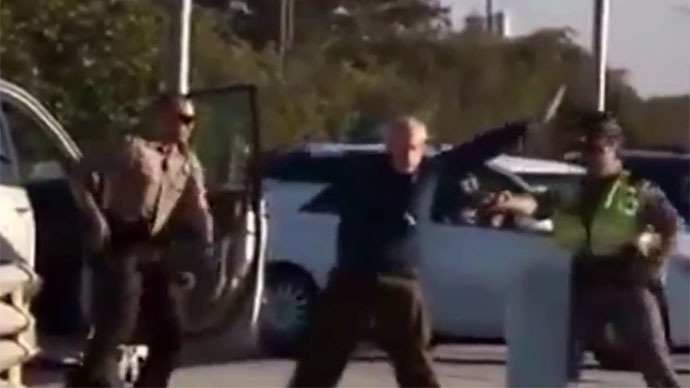 Such wasn’t the case during the 2012 incident that tragically led to the death of Martin, according to his family, and horrific footage from the ordeal is now raising further questions about the use of the controversial stun guns in the wake of his death.